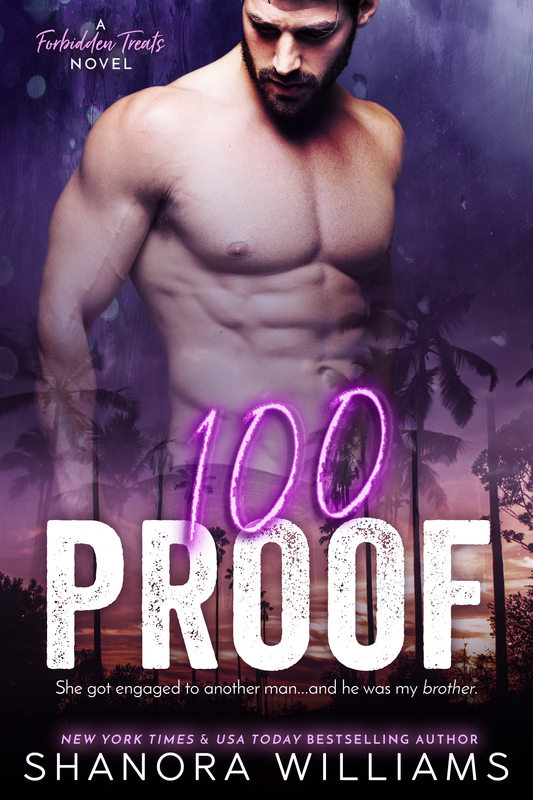 100 Proof, an all-new taboo STANDALONE romance from Shanora Williams is coming May 18th!!! I was the low life. The hopeless one with no future. He was the rich guy. The smart one. The one who had it all. My parents admired everything he did, while I was known for being their greatest disappointment. I didn't follow the path they paved for me. I drank and partied and did whatever the hell I wanted. The buzz was something I couldn't live without - the fire that filled my veins after each sip always kept me running back for more. But then I met her, and suddenly the drinks didn't matter. The parties weren't as fun. That fiery buzz came second for once. I drowned only in her, wanting her more than I wanted to exist. But even with her, I screwed things up. Now, he's with the woman I love. And he may have her, but what he should know is that even with all of his money, that nice house, and his expensive cars, her mind, body, and soul will always belong to me. And I'm not sorry about it, brother, 'cause she was mine first. Shanora Williams is a New York Times and USA Today bestselling author who loves writing about flawed heroes and resilient heroines. She is a believer that love outweighs all, but doesn’t have a problem making her characters fight for their happily ever after. She currently lives in Charlotte, North Carolina and is the mother of two amazing boys, has a fiercely devoted and supportive man, and is a sister to eleven. When she isn’t writing, she’s spending time with her family, binge reading, or running marathons on Netflix while scarfing down chocolate chip cookies.